Amazon and Disneyland are two huge, successful businesses that specialize in selling entertainment. I love them both, but for different reasons. Amazon has branded itself as a giant, which fits the name of the company. When I go to Amazon, I expect great selection coupled with low prices. I also expect quick shipping. Amazon has also branded itself as being a supporter of the small guy – i.e. small businesses and indie authors. This last point works multiple ways. Third-party sellers and customer resale help to bring low prices to the customer through competition, and customers have the opportunity to support indie authors and small businesses. Amazon features indie success stories on their homepage. Indie books and small business products also greatly enhance the selection of books and other products on their website. Finally, most customers know indie authors (or are indies themselves), so there is inherently much support for this concept. I love Amazon for giving the small guy such an amazing opportunity. 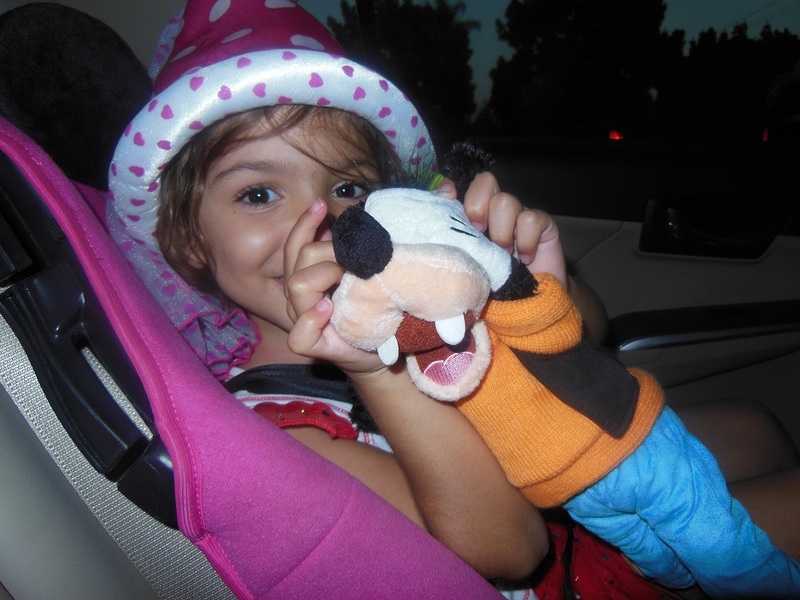 Disneyland has branded itself as a bringer of happiness, which fits its slogan, “The happiest place on earth.” My daughter doesn’t know the slogan, but she associates Disneyland with happiness: She was bouncing up and down, smiling in the car for a couple of hours on the way there. The employees who interact with customers at Disneyland are obviously trained to place much emphasis on bringing a happy experience to customers. Another thing that’s very important is also subtle: Disneyland pays incredible attention to detail. There is evidently a high priority on cleanliness on their grounds. The service and ambiance are such a high priority in order to brand the happiness image that these details are vital to their success. Goofy came over and patted my daughter on her head during the parade – that’s a wow-factor. I love Disneyland for attempting to make many people’s lives happier, even if just temporarily. Of course, Amazon and Disneyland are huge companies which are geared toward making money. Aren’t all businesses striving to make money? The question is what goods and services they provide for the money, and whether or not it’s a good value. Amazon supports the small guy in its aim to make money and Disneyland provides happiness in its aim to make money. Provided that the cost is reasonable, these seem like highly respectable ways – in my humble opinion – to go about making money. These are positive images to brand. Amazon and Disneyland aren’t perfect. Who is? Personally, I would like to see Amazon become a little more like Disneyland. Wouldn’t it be awesome if Amazon were, say, “The happiest place online”? At least, a few steps in this direction would make for a nice improvement. But, alas, in customer reviews, customer comments, and discussion forums, we sometimes see unhappiness. We sometimes see highly spiteful remarks (even though spitefulness is supposed to be a violation of the terms and conditions of use) or even cyberbullying. This is odd, as it seems to contradict some of Amazon’s branding efforts. When I contact Amazon as a customer or author, they usually provide excellent customer service. If they’re so oriented toward great customer service, why not go all out and provide a great customer ambiance in the review and discussion forums, too? Why provide a rotten ambiance there, but great service by phone or email? It seems totally incongruent. So there is one way in which Amazon could improve, in my estimation. Even as they are, I still love Amazon and Disneyland. How do you want to be branded? You need this in the planning stages. How do you want your product to be branded? Work toward this. An image that people are likely to support on a wide scale (like supporting the small guy), which fits with your product or service, has much potential. An image that people crave (like happiness), which fits with your product or service, has much potential. Choose a title that fits this image. The product, service, marketing, blog, and even your daily personal interactions matter. Send a unified message that supports your branding. Consistently brand the same image. Avoid changing the main title or picture. Choose these wisely in the beginning. Thank you so much for posting this and breaking it down into an easier way of thinking through it all. It always seems to get a bit overwhelming when it comes to branding, for me, so this helped tremendously. And having examples like that always helps as well (especially since I love Disneyland!). Thanks for sharing, Chris!